The world is getting advanced, mobile and fast. Car seats are among those inventions that have really moved with the pace and changed over the years. From rear-facing to forward-facing, it’s amazing to see how the latest models improve over the last. Here are some popular best rear car seats available on market, along with a look at their prices and other useful features. Britax ClickTight Convertibles are very popular with parents nowadays because of their wide range of features. Children who weigh under 40 lbs or are shorter than 49 inches can be supported by it. This line comes in three different models for different purposes and retail for around $370. $369.99. The main features of this product include a Click Tight Installation system and energy absorbing base and sides. The base is smooth base with gripped edges. . The biggest problem and disadvantage of these designs is the heavy weight of these models which requires a lot of effort to remove and place somewhere else. Marathon model is not as tall as the other two models, which is a negative point but is still large enough to be extended as a rear convertible seat. So after searching and finding lots of pros and cons I would recommend this product to buy because of the safety and modern features make it more comfortable to use. But the price is expensive but nothing is more expensive than your kid’s safety. This product is weight limited. Its design is so unique and adjustable that even small children those with skinny body and taller height can easily be adjusted. This product can easily adjust children with taller height even from their age group. Another thing is that it can be installed in less than 1 minute. The main feature of this product is additional installation feature using LATCH. Also the weight limit of this product is 40 lbs. The price range of this model is between US $279-$299. The biggest advantage of this model is that the newly born children are can be easily adjusted in it. Weight supporting feature helps it to use with for long duration. Can use LATCH up to 50 lbs. Deep side’s makes child’s loading and unloading difficult. No locks off for seat belt installation. This product is also very unique and market capturing because of the strong construction and excellent price range. So if you are looking for safety and style at affordable cost I would recommend this product. 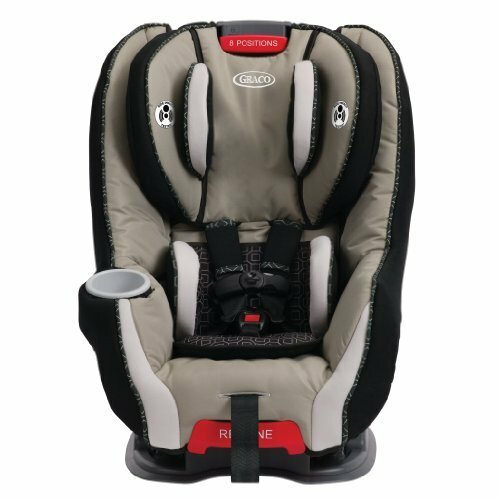 Graco Size4 me are best among the mid range price convertible seats. Can be used for 4-40 lbs. Unique LATCH system makes it easy to install and uninstall. Latest models can support up to 65 lbs. Can fit newly born baby to 7 years old child. Best to use for kids that has skinny body and weak health. Auto size adjustable feature helps kids to fit in perfectly. Best to use for newly born babies and infants also has a very strong lock system that makes its reliable for long duration. The main features of the product are it can support weight up to 70 Lbs. It also has a level indicator. It also has safe adjustable harness height system and InRight Latch System. Price range of this product is 179.99. Best product with rear-facing height limit. Easy to connect and disconnect. Easy installation process, separate attachments for front and rear facing. Tall harness limit can support kids of age up to 7 years. Just like the others there is not lockoffs for seatbelt installation. Rated down to 4 lbs. What’s good than a good thing at a cheap cost. This product is definitely worth buying. The best thing about this product is the price range and diversity of the wide range of the model that this product offers. So for your newly born babies to your kids with growing teeth this product is best for you. 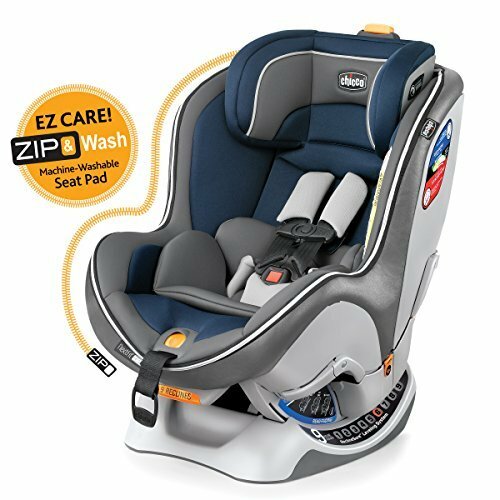 So after carefully searching and finding both the pros and cons of all the above mentioned products it can be easily jugged that it Britax ClickTight Convertibles are worthy to buy and use. Because of the elegant and modern design and other non neglect able features and the less number of disadvantages it is worthy to buy and use. But also the best thing about Graco Size4ME is the price range and diversity of the wide range of the model that this product offers. So for your newly born babies to your kids with growing teeth this one is best for him. But for safety at cheap cost I would recommend Chicco NextFit. CarsAndSeats.com is a participant in the Amazon Services LLC Associates Program, an affiliate advertising program designed to provide a means for sites to earn advertising fees by advertising and linking to Amazon.com. Amazon and the Amazon logo are trademarks of Amazon.com, Inc or its affiliates.